Galway East Tourism - Family Activity Trails Launched! 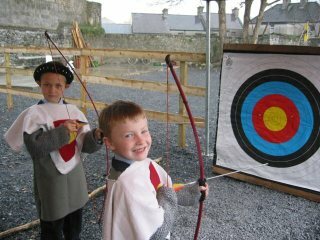 in East Galway, West of Ireland.Galway East Tourism - Family Activity Trails Launched! in East Galway, West of Ireland. Family Activity Trails launched on 28th March 2009! 5 free-to-download trails featuring family activities, shopping, parks, walks and much more in Galway East. The Family Activity Trails comprise of five trails around Galway East, and are designed to make it easier for parents to plan a family day out in Galway county. The trails were compiled by mykidstime.ie and Galway East Tourism and each trail is a self-contained loop featuring family friendly activities, restaurants and cafes, shops, libraries, baby-changing facilities and playgrounds. where you can download and print off the trails for free. There is also a directory which gives contact details on every place listed in the trails. Why not give one of the trails a go with your family - let us know how you get on!